Each vial contains approximately 35 doses of sweet-tasting pills that are suitable for babies through to the elderly, and during pregnancy. Refills for each vial are available from our online store. A prescriber booklet fits within the kit and covers more than 120 conditions including burns, dehydration, disease outbreaks, earache, food poisoning, homesickness, head injuries, jellyfish stings, snow blindness, toothache and much, much more. The Kit contains 36 remedies, all in 30C potencies: 1. Aconite napellus (Acon); 2. Apis mellifica (Apis); 3. Argentum nitricum (Arg-n); 4. Arnica montana (Arn); 5. Arsenicum album (Ars); 6. Belladonna (Bell); 7. Bellis-perennis (Bell-p); 8. Bryonia alba (Bry); 9. Camphora officinalis (Camph); 10. Cantharis vesicatoria (Canth); 11. Carbo vegetabilis (Carb-v); 12. Chamomilla (Cham); 13. Chelidonium majus (Chel); 14. China officinalis (Chin); 15. Coca (Coca); 16. Cocculus indicus (Cocc); 17. Cuprum metallicum (Cupr); 18. Eupatorium perfoliatum (Eup-per); 19.Gelsemium sempervirens (Gels); 20. Hepar sulphuris (Hep); Hypericum perforatum (Hyper); 21. Ignatia amara (Ign); 22. Ipecacuahna (Ipec); 23. Kali bichromicum (Kali-bi); 24. Lathyrus sativus (Lath); 25. Ledum palustre (Led); 26. Manganum (Mang); 27. Mercurius solubilis (Merc); 28. Natrum muriaticum (Nat-m); 29. Nux vomica (Nux-v); 30. Podophyllum peltatum (Podo); 31. Pulsatilla pratensis (Puls); 32. Rhus toxicodendron (Rhus-t); 33. Ruta graveolens (Ruta); 34. Silicea terra (Sil); 35. Staphisagria (Staph); 36. Veratrum album (Verat). 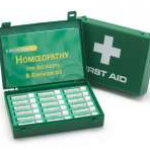 Why invest in a homeopathy kit? 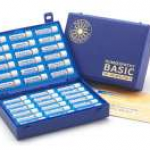 Homeopathic kits are an inexpensive way to learn how to use homeopathy for simple self-treatment of minor problems. 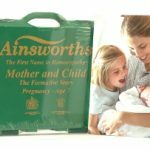 They are suitable for all ages and all stages – from infancy to old-age. 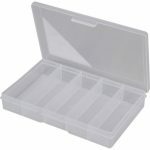 Our kits are small enough to fit in your medicine cabinet, handbag, glovebox or travel bag, and are versatile enough to deal with many common problems that happen in the home or when travelling. 1. Place your order online. Standard shipping is just AU$8.50 to anywhere in the world, and shipping is free for orders over AU$85.00!